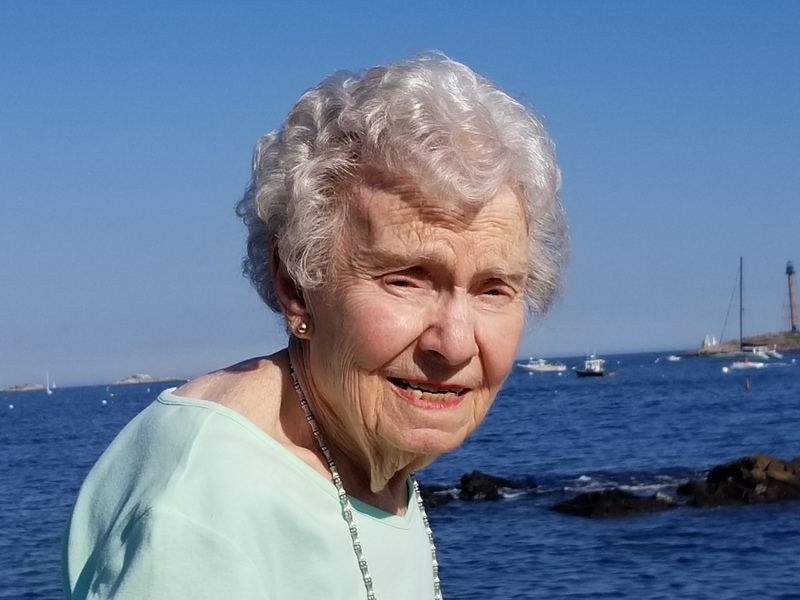 Kaliope Kirios, age 96 of Lynn, died Saturday at the Kaplan Family Hospice House in Danvers after a brief illness. She was the wife of the late George Kirios with whom she shared 26 years of marriage. Born in Lynn she was the daughter of the late John and Helen (Ginis) Comenos. She attended Lynn schools and graduated from Lynn Classical High School, Class of 1939. She was employed at the General Electric as an assembler. After acquiring a cosmetology license she was employed as a hair dresser at Sally’s Beauty Salon in Lynn. She retired from the Commonwealth of Massachusetts, Division of Employment Security. Kaliope was an active member of St. George Greek Orthodox Church where she was a member of the St. George Ladies, and the St. George Philoptochos Society. She was the last surviving founding member of the Michael Koskey Scholarship Fund. She was an avid reader, enjoyed dancing, traveling both in the United States and abroad, and loved spending time with her family and friends. She is survived by two daughters, Elena C. Kirios of Lynn, Linda A. Kirios of Culver City, CA and her only grandson Gregory Mangrobang of Santa Monica, CA. She was also mother of the late Alan G. Kirios, formerly of Lake Tahoe, NV. She is also survived by many nieces nephews and great nieces and nephews. Service Details: Visiting hours will be held at the Parker Funeral Home 35 Franklin St. Lynn Today from 3:00 – 6:00 PM to which relatives and friends are invited to attend. Funeral services will be private. In Lieu of flowers please make memorial donations in Kaliope’s name to the Kaplan Family Hospice House 78 Liberty St. Danvers, MA 01923 or to St. George Greek Orthodox Church Caring and Sharing Program 54 South Common Lynn, MA 01902.